Whole Health Source: Hyperinsulinemia: Cause or Effect of Obesity? Elevated insulin (hyperinsulinemia) and elevated fat mass typically travel together. It is generally accepted in the scientific community that hyperinsulinemia is the result of obesity. However, others have argued that researchers may have the causality backward, and obesity may instead be the result of hyperinsulinemia. If this is the case, then interventions that suppress hyperinsulinemia should reliably prevent fat gain. Let's see if that's true. One hypothesis of obesity-associated insulin resistance suggests that during the development of obesity, inflammation in fat tissue causes insulin resistance throughout the body. One potential player is a cytokine called tumor necrosis factor-alpha (TNF-alpha). Knocking out the TNF-alpha gene completely prevents hyperinsulinemia and insulin resistance in mice during exposure to a fattening diet. If hyperinsulinemia causes obesity, then these mice should remain lean, but they do not. They become obese at nearly the same rate as normal mice (2). Researchers have generated mice that are missing jun kinase 1 (JNK1), a protein involved in inflammatory signaling, specifically from blood cells including circulating immune cells. When exposed to a fattening diet, these mice do not develop hyperinsulinemia, retain a normal insulin sensitivity, but gain fat at the same rate as normal mice when placed on a fattening diet (3). How about mice that lack inducible nitric oxide synthase (iNOS), another protein involved in inflammation? They do not develop hyperinsulinemia, or insulin resistance, but actually gain more fat than normal mice when fed a fattening diet (4). A common knee jerk reaction is to dismiss these results because they were obtained in mice. But consider this: mice have insulin. They have hormone-sensitive lipase and lipoprotein lipase on their fat cells, and they are regulated by insulin in the same manner as they are in humans. Insulin goes up temporarily with carbohydrate, and chronically up with obesity, just like in humans. So if the proposed mechanism is that insulin causes fat gain by acting on HSL and LPL in fat tissue, why would one expect the association between insulin and body fatness to be any different in mice than in humans? But let's look at another species anyway: dogs. Clonidine is a blood pressure drug that targets the a2 adrenergic receptor. When dogs are made obese via diet, clonidine prevents an increase in fasting insulin and insulin resistance without attenuating the development of obesity at all (5). If elevated insulin is a major factor in obesity, one would expect to see elevated insulin in all, or nearly all, obese people. However, there is a subgroup of obese people who are considered "metabolically healthy" and have normal fasting insulin and insulin sensitivity. Likewise, there is a subset of lean, "metabolically obese" people who have high insulin and low insulin sensitivity despite a normal fat mass (6). If the correlation between obesity and hyperinsulinemia is not very tight, and the two phenomena can be completely dissociated in experimental models by a variety of means, this indicates that elevated insulin is not a major contributor to obesity, and is certainly not required for it. This evidence is consistent with the prevailing hypothesis that elevated insulin and insulin resistance are the result of excess fat accumulation, rather than the cause. In this section, I'd like to discuss some of the observations that appear to support the idea that insulin regulates body fatness. I found these ideas convincing at one point, but I will explain why, upon closer examination, they do not offer much if any support to the hypothesis. The first is the fact that type 1 diabetics become very lean until they receive insulin replacement, at which point they gain fat. Type 1 diabetes is a condition in which the pancreas produces little or no insulin. I think this example illustrates a very important concept: the difference between something that is required for fat storage, and something that regulates fat storage. Let's use the metaphor of a car. Without an engine or wheels, a car can't drive. But the engine and wheels aren't what decide how fast the car goes. That is determined by the driver pushing the pedals. If you were to get rid of the engine, the car wouldn't move, and you might be tempted to say that the engine regulates the speed of the car. Insulin in type 1 diabetes is a similar case. You need some basal amount of insulin signaling around for fat cells to store fat properly. Get rid of the insulin, and they rapidly release all of their fat due to unrestrained lipolysis (not good for health!). Replace insulin, and the fat cells work properly, allowing them to do their job again, which is to store fat. Fat cells also require ribosomes and DNA polymerase to store fat, but no one claims that these proteins that are required for basic cellular function regulate body fatness. Type 1 diabetics who receive insulin go from being too thin to having a normal degree of body fatness because their fat cells work again. Also because they are no longer peeing out a large quantity of glucose (glycosuria). Another argument is the case of type 2 diabetics who require insulin. Insulin treatment is often associated with fat gain in this scenario (7). There are a number of problems with using this as support for the hypothesis that insulin causes fat gain in non-diabetics. People who need insulin are, by definition, insulin deficient relative to their own degree of insulin sensitivity. Therefore, they are in some respects similar to type 1 diabetics who are not producing enough insulin. They may simply be gaining back the weight that they would have had to begin with, due to a failure of their own insulin to keep fat cells working properly. The other thing to consider is that uncontrolled diabetics lose a lot of calories through their urine. Insulin therapy corrects this, effectively increasing calorie intake. Furthermore, insulin therapy is just insulin. It is not accompanied by the many signals that are released by the digestive tract and pancreas of a healthy person in response to carbohydrate ingestion. One of these is the hormone amylin, which is co-released by the pancreas, along with insulin, when carbohydrate is eaten. It is not only a satiety peptide, but is also being investigated as a fat loss treatment (Pramlintide, 8). When injected insulin is administered along with amylin to diabetics, it causes weight loss (9, 10). The larger point is that you can't extrapolate from the effects of isolated insulin injections on diabetics, to the effects of insulin on a healthy person eating carbohydrate. A third argument is the case of lipomas. These are fatty deposits that build up in diabetics who repeatedly inject insulin into the same spot. Once again, it is important to keep in mind the difference between normal and abnormal states. A local injection of insulin delivers a massive dose to a very localized area of the body. The dose received by that small area of fat tissue is hundreds of times what it would see under any normal circumstances. That suppresses HSL and activates LPL to an abnormal degree, resulting in fat accumulation. This is essentially the equivalent of a cell culture study where investigators put a massive amount of insulin onto fat cells, and watch nutrients flow into them from the surrounding medium. It has very little relevance to normal physiology in my opinion. Insulin can influence the accumulation of fat by fat tissue if it is manipulated in an extreme manner, either due to severe insulin deficiency or injecting unnaturally large amounts into one area repeatedly. However, I have yet to see any convincing evidence that insulin action on fat cells is a physiologically relevant regulator of body fatness under normal circumstances, or that it contributes to the development of obesity in any way. The hypothesis that insulin, in a physiological context, increases body fatness has been around for a long time. However, most obesity and metabolism researchers considered it defunct by the mid-1980s, if not before, because of its failure to explain a number of basic observations (11). The case against this hypothesis has expanded considerably since then. What in your opinion explains the success of low carbohydrate diets in treating obesity? Would you say reduction in food reward is the main factor? Do you think avoiding reactive hypoglycemia is a factor? What might be some other factors? Note that I am NOT suggesting that the success of low crab diets supports the carbohydrate hypothesis. Another factor for the success of low carb diets could be that many carbohydrate foods are coupled with NAD: fructose, gluten. I've felt for quite a while that carbohydrate/insulin release does not cause metabolic derangement. But I've also made a distinction between metabolically "fit" and metabolically "broken". The broken should be low carb. Not sure if this is defensible anymore, in light of this information. So, if body fat causes insulin resistance then how can a thin person be a type II diabetic? You see this a lot in Asians. You said elevated insulin and fat mass travel together but then said the correlation isn't tight. Regarding obese with low insulin, I would guess we can find subgroups that are counter examples to any obesity hypothesis. I mean I am personally a counter example to about every hypothesis, as I've never been fat despite enormous sugar, calorie, reward, etc intakes for my first 22 years. I don't know about others' ideas, but I don't think Petro for example believes you cannot get fat on low insulinogenic diet, just as you don't believe you cannot get fat on non-rewarding food, which you clearly can by your recent overfeed/forcefeed post. So, with adipocyte insulin sensitivity, would it be that surprising to Petro/Taubes/etc that animals can be fat without hyperinsulinemia? ...where the mice fed oxidized fats have low insulin, liver trigs, and general fat? I originally thought the decreased food intake was taste, but that wouldn't explain the slight hyperglycemia. The oxidized oils damage the pancreas and inhibit insulin secretion. I think something like this is a bit more direct than looking at inflammation-signaling proteins and having to factor in additional effects. "I'm still not sure why [there would be a net influx of fat into fat cells... considering that fat tissue becomes more insulin resistant as body fat accumulates, therefore insulin action on it is not necessarily reduced." Do you mean necessarily *increased*? Got an Android phone and was wondering if there is a way I can download this blog onto it to read offline when I'm waiting for the train? Did a quick Google search but nothing terribly useful. Google reader doesn't seem to allow offline reading. is the exaggerated postprandial hyperinsulin spike in obese people due to carbohydrate ingestion is harmless? Do you really believe that? Insulin is implicated to limit bile acid synthesis, and poor bile acid responses to food is also implicated in being obesogenic. Humans do not get fat on a ketogenic diet, this is why the carbohydrate hypothesis of obesity is intact. Is it physically possible for a normal lean person to get morbid obesity on a ketogenic diet? Probably, but its never been tested as far as I know. People always self select high carbohydrate foods when left to thier own choice. Because carbohydrates are hyperpalatable. "People always self select high carbohydrate foods when left to thier own choice. Because carbohydrates are hyperpalatable." Why don't you do an experiment and try eating lots of boiled potatoes, without adding any butter or fat, or sugar or salt. Lets see how hyperpalatable you find it. The fact is that adding fat and carbs together makes it more palatable. But to truly make it hyper palatable you need to add sugar and/or salt. Even meat wouldn't be very palatable without the salt. Also humans do get fat on ketogenic diets. I am not aware of anybody getting morbidly fat, but people do stop losing weight at a lot higher fat mass. Ofcourse this applies to a small number of people, and shows that everybody is different. I've read your food reward theory with interest, however, I'm highly sceptical how eating unrewarding foods would work in the real world for weight loss, surrounded by highly palatable foods everywhere. I doubt an eating plan based on unrewarding foods would be sustainable for most obese people. Regarding hyperinsulinaemia, how wold you explain PCOS? High insulin levels come first, causing the ovaries to release increased androgens, causing PCOS symptoms often including weight gain. I had high insulin levels and reactive hypoglycaemia while slim. I then put on lots of weight, suddenly. "...it is important to keep in mind the difference between normal and abnormal states...It has very little relevance to normal physiology in my opinion." Are not the subjects in the metabolic ward studies you cite also in "abnormal states," when the researchers force them to eat a certain number of calories? Free living people on reduced carb diets normally tend to spontaneously reduce caloric intake, but these subjects are not allowed to. Why do some grossly abnormal states provide, for you, compelling evidence against the insulin hypothesis while other such states, with less convenient implications, have "little relevance" because they do not reflect "normal physiology?" People with type 1 diabetes don't lose weight because of effects on fat cells. They lose weight primarily because glucose can't get into their cells because of a lack of insulin, and the body burns protein to generate glucose via gluconeogenesis, so their muscles waste away. Some type 1 teengers take less insulin than they need so they'll lose weight without effort, a dangerous practice. My dad is 63 and weighed 360 lbs on New Years. He was on high blood meds and a statin and is a prostate cancer survivor to boot. A week before on Christmas i sat him and my mother down and told them that my dad wouldn't live to be 70 and it scared them enough to take my recommendations. My simple recommendation was to not eat out, cook every meal and, initially, keep it very low carb. What that meant for him was basically subsiting on pork and green vegetables and chicken for all of this year with some liver and fish thrown in occasionally. 8 months completed and he's 92 lbs down as of our conversation last weekend. off all medication while looking and feeling better than he has in 20 years. his diet was low reward- no extra fat added to his meals, very light seasoning(they cook almost all their meat on a nuwave) and no added sugar(it was also low carb, which i still think is the best low reward solution for the obese). i had never heard of low reward before reading stephan's series but it resonated with me because it coincided with my experiences with my weight loss and my parents'(my mom has dropped 50lbs in the same lenght of time). To answer your question, as a person who's been on this journey and is helping others, i can assure you there is no easy way. as in most life and death situations- make no mistake about it, it's that simple with many morbidly obese people- you either choose to live or die. you choose to have a better quality of life or you choose to suffer with bad health and the societal stigma of obesity. i'm not sure food reward is the whole picture- i'm still married to harris' explanations of NAD's- but it is definitely in a prominent spot in the portrait from my experiences. I chose my words carefully. What I said was that I don't think Petro believes one cannot get fat on [ketogenic diet]. In other words, it is possible (though naturally unlikely). So, he wouldn't abandon his ideas based on a protein-knockout example with low insulin and obesity. Stephan, you seem to have the idea that insulin resistance is a unitary phenomenon--that when one tissue becomes insulin resistant, they all do. One of the principles of the carbohydrate hypothesis is that fat normally becomes insulin resistant after other tissues do. Only a low level of insulin is required to store fat in adipose tissue, and only a low level of insulin is required to keep it there. When fat finally becomes insulin resistant, adipose stores do not continue to increase but remain relatively constant. The FIRKO (Fat-specific Insulin Receptor KnockOut) mouse is an example of this. As described by Bluher et al., these mice maintain a 50 to 70% reduction in fat mass throughout life, have no lipodystrophy and actually eat 55% more food per gram of bodyweight than control mice. In one sense, when insulin resistance finally develops in fat, that can be thought of as a positive thing. Perhaps the reason that some people can reach 1000 pounds is that their adipose tissue retains its insulin responsiveness almost indefinitely. Perhaps the reason some type 2 diabetic are thin is that they have a low setpoint for developing insulin resistance in their adipose tissue. To reiterate, the carbohydrate hypothesis is based on the idea that obesity resulting from excessive carbohydrate intake happens because adipose tissue is still insulin responsive, not because it is insulin resistant. ...wait a second, now that I look at it more carefully, I'm quite unconvinced. The TNF-a knockouts have low fasting insulin but higher adipocyte insulin signaling (overall though too), so I hardly see how that’s surprising; I don't have full text to nos2 knockouts; the jnk1 knockouts don't get as fat as WT, and their insulin is lower, so that actually supports the insulin hypothesis. The only mouse that doesn't is the WT with jnk1-knockout bonemarrow. Interesting study thanks for that. So the fat IR knockout mice probably had increased energy expenditure? I think this goes someway to supporting the idea that energy expenditure is atleast in part determined by substrate availability. It would seem that different people have different potentials for how much thier fat cells will hyperplasia. My feeling is that once a fat cell reaches a certain size, it becomes completely insulin resistent and triggers the birth of new fat cells. Type II diabetes occurs at the exact point where all your fat cells are full and insulin resistent, but for whatever reason, the body refuses to make new fat cells. I know Peter at Hyperlipid has speculated before this is how it works. There is a similiar analogy with muscle cell hypertrophy in weight training, different people have different potentials for how much thier muscle cells will grow in response to training. I know you've talked about it before, but I think it would be useful here to discuss what you think of the idea that low-carb diets have a special ability to diminish appetite, beyond what would be expected from the food reward hypothesis. Thank you for your research and effort! You seem to have demonstrated that insulin's direct action on fat cells is not a primary caue of obesity. I wonder if you could seek to further disprove the Carbohydrate hypothesis by addressing the other potentially obesogenic aspects of insulin. i.e it's effects on other tissues like the liver, prostate, ovaries, brain, or it's interference with the proper function of other hormones (thyroid, leptin, etc). Thanks again - long time reader and appreciator of your work. Thanks for writing about hyperinsulinemia. I have some personal experience that you might find interesting. By the way, I think you accidentally used wrong term for diabetic local fatty deposits. Insulinoma is a tumor that secretes insulin, right? So, I'd like to tell you about my n=1 experience on hyperinsulinemia and low-carbing. I started to have a lot of strange symptoms after 6 years of Atkins/OD. Eventually I got myself a blood sugar meter and found out I was hypoglycemic. I added carbs back, trying for 125 grams per day from rice, potatoes and banana. I started gaining weight rapidly. I moved from BMI 21 to BMI 29 in a half year, but my symptoms started to disappear. Some disappeared immediately after I added carbs, others took over a year to disappear. But the strange thing was, as doctors were trying to find out reason for my symptoms, they found out my fasting insulin was 180 mU/l (<27 mU/l would be normal). The test was repeated and result was 210 mU/l. They suspected I have insulinoma and sent me to hospital for further tests. Thanks to Finnish health care system queues, it took me several months to get to the hospital. By then the fasting insulin was 10-12 mU/l and the tests did not find any tumor. I think people make huge mistake by assuming postprandial insulin counts much. If everything functions ok, 2 hours max and insulin is out of the system. With 3 meals, that is 6 hours effective time, which leaves 18 hours where carbs have no effect. Why should the pareto law not work here? The fasting insulin counts more and has no direct connection to carbs eaten. When did you measure 180 & 210, and when did you measure 10-12 in regards to your eating habits? Really appreciate that you are pressing forward with the debate over the carbohydrate hypothesis. Right now, I am trying to sort out your's and Dr. Dobromylskyj (Peter at Hyperlipid) opinions on this topic. I highly regard both of you, and have read every article in your blog's archive (and Hyperlipid). So, when you guys disagree on something so fundamental, and which is also personal for me (I have metabolic syndrome), it really gets my attention (and admiration). Especially since Dr. Lustig (another favorite source of mine) has also weighed in on the topic recently and stated that "we have to get the fasting insulin down". Of course I understand Dr. Lustig's arguement is more complex than that, as he also talked about Leptin and its interaction with insulin. So, if we look at this just from the standpoint of metabolic syndrome (which MANY, MANY people suffer from in this country), what do you think is the role of fasting insulin? If its not fasting insulin, then what is the key mechanism? FYI, before going LCHF, my fasting insulin was >15. With LCHF, my fasting insulin is between 3 and 4. I am much healthier now with the lower insulin levels, having lost 30 lbs and normalizing every measure of metabolic syndrome. I know its anectdotal, but I have heard the same story from many others. So, at least for metabolic syndrome, Peter & Dr. Lustig's explanations of high fasting insulin make sense to me. However, I am very open minded at this point and very curious to learn more. Is there some other mechanism that is causing my dramatically improved health under an LCHF diet while suffering from metabolic syndrome? That doesn't support the insulin hypothesis. Stephan doesn't not think insulin follows fat amount; he just thnks it's a result rather than cause. So, your story doesn't support Lustig/Peter over Stephan necessarily. Yes, thanks for clarifying, its what I meant to ask. The question is whether high fasting insulin is the cause or a result of metabolic syndrome? If its a result, then what is the underlying cause? Also, in reversing metabolic syndrome, why does a LCHF diet work so well? I was thinking about why the mice in the study you linked were not diabetic, glucose intolerant, and demonstrate unrestrained lipolysis. Here, we show that insulin infused into the mediobasal hypothalamus (MBH) of Sprague-Dawley rats increases WAT lipogenic protein expression, inactivates hormone-sensitive lipase (Hsl), and suppresses lipolysis. Conversely, mice that lack the neuronal insulin receptor exhibit unrestrained lipolysis and decreased de novo lipogenesis in WAT. So clearly insulin acting directly on fat cells is not the full story, insulin needs to signal in the brain also? The reason that people injecing insulin get fat has nothing to do with the insulin, but with the poorly managed dosages they are given, which cause sharp blood sugar swings up and down, which cause relentless hunger. If you inject insulin in a manner that keeps blood sugars flat and avoids hunger, you shouldn't gain weight. I actually lost weight the year I started injecting insulin after meals. Not sure if someone answered thus yet but Kindke, I use an app on Android called ReadItLater. Works pretty well for reading offline. Taubes provides a "historical" account of what he claims happened to the insulin-causes-obesity hypothesis. If I remember correctly, in his account the German-speaking experts on the topic became inactive after the war either because they died early or became refugees and did not continue to be influential. It would be interesting if you could show that their views had actually been refuted or superseded. "The reason that people injecing insulin get fat has nothing to do with the insulin, but with the poorly managed dosages they are given, which cause sharp blood sugar swings up and down, which cause relentless hunger." Would it be accurate to say that reactive hypoglycemia after [excessive?] carb consumption contributes to hunger and weight gain in insulin resistant individuals who are NOT injecting insulin? Kindke, I'm not sure I understand your question. The various knockout mice (NIRKO, LIRKO, FIRKO, etc.) do not purport to be models of diabetes or other metabolic disorders. They simply suggest what the role of insulin resistance in each particular tissue might be. In an intact organism, insulin resistance can exist simultaneously in multiple tissues to varying degrees. Insulin-resistant neuronal tissue is but one of them. I would add that exogenous insulin does not mimic endogenous production. It's amazing really how insulin is secreted in pulsatile phases and distribution is directed by the liver. Even with advances in delivery systems, exogenous insulin injected or delivered subQ cannot mimic physiological insulin. Combine that with the differing half-lives of various formulations and it's quite a miracle diabetics can nowadays live rather normal lives. The relationship identified in (1) is a linear relationship, not a relationship of proportionality. What about the possibility that dietary fat is a main cause of insulin resistance? The influence of dietary fat on insulin resistance. Dietary fat has been implicated in the development of insulin resistance in both animals and humans. Most, although not all, studies suggest that higher levels of total fat in the diet result in greater whole-body insulin resistance. Although, in practice, obesity may complicate the relationship between fat intake and insulin resistance, clinical trials demonstrate that high levels of dietary fat can impair insulin sensitivity independent of body weight changes. In addition, it appears that different types of fat have different effects on insulin action. Saturated and certain monounsaturated fats have been implicated in causing insulin resistance, whereas polyunsaturated and omega-3 fatty acids largely do not appear to have adverse effects on insulin action. Given the importance of insulin resistance in the development of diabetes and heart disease, establishing appropriate levels of fat in the diet is an important clinical goal. Actually a high-fat low-carb diet does promote insulin resistance, but it's quite physiological and reversible. Peter at Hyperlipid discusses it here. "I use an app on Android called ReadItLater. Works pretty well for reading offline." Thanks Steven, that looks good. Quick question: if I mark a page on Readitlater, then I want to read it later when I'm out and about, will it automatically bring up the already downloaded page for offline reading, or will it preferentially try to access it via my phone's internet connection (and so cost me money) and only go offline if there no phone/internet signal available? 1. When you mark something for further explanation in a footnote*, I suggest you put the note immediately following the relevent paragraph, perhaps enclosed in brackets. 2. When you respond to comments, it would be better if you pasted the point you are replying to, rather than simply the name of the commenter. Makes it easier to follow rather than have to scroll up through the comments to see what the original comment was that you are replying to. Has anyone ever looked at why pregnant women gain body fat and why they seem to have a much easier time losing it post-pregnancy as compared to fat gain that occurs outside of pregnancy? Obviously something hormonal is going on there, but what specifically is it? It seems like there could be a lot to learn by studying that. Yes it will automatically bring up the downloaded page. To download the page, when you are in your browser just click on Menu, then More..., then Share Page, then choose to Add to ReadItLater. I haven't used it too much since I'm connected a lot, but there is an issue where is just downloads the blog post and not the comments. I think you can fix that in the settings somehow. I'm looking into that. Steve, I don't know that post-pregnancy weight loss is easier - are there studies on this? Yeah, I guess that's the first question that needs to be answered. Admittedly, I was going off on my own experience of knowing several women who lost weight rather easily after pregnancy, but I don't know if statistically it is easier. It's been interesting following (or trying to follow) Stephan's recent posts as well as those by Tuabes and the one posted at Hyperlipid. I've also noticed a lot of comments from readers such as "convincingly argued" and "tour de force". I think people need to be cautious in evaluating these arguments unless they are themselves very familiar with the science and the research being discussed. The present situation reminds me of a neuropsychologist who has become well-known for providing a neurological explanation for the occurrence of repression (or dissociation) and multiple personality disorder (now known as dissociative identity disorder) as a result of trauma. He provides a very convincing, though complicated, explanation and even receives standing ovations from trauma-oriented clinicians when he speaks at conferences. The problem is that many other neuropsychologists (and clinicians)think he's full of hogwash. The difficulty is that the brain is such an incredibly complicated machine, even with the limited knowledge we presently have, that it's possible to weave an neurological explanation for almost any psychological phenomenon, whether that phenomenon is real or not. For the sounds of it, the biological processes involved in eating and obesity are at least as complex. 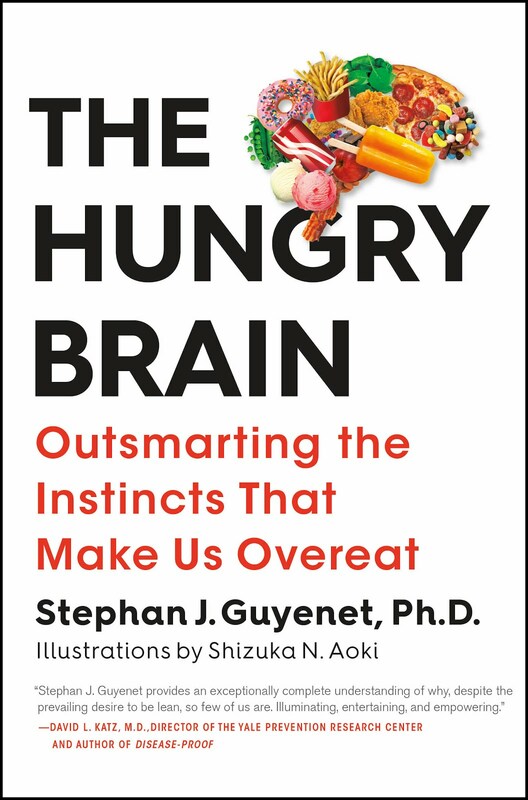 Hence, it is not at all convincing to me that one can weave a coherent biological explanation for the primacy of food reward over alternative explanations for obesity (which is what Stephan seems to be driving at these days). Much more interesting would be a clear demonstration of what seems to be Stephan's main hypothesis, which is that a bland food diet can lower one's set point. The study that Stephan is now running of course doesn't do that nor, unfortunately, does it do much of anything. I've never seen a study so confounded by expectancy effects. Not only are the participants aware of the hypothesis, many of them have been virtually indoctrinated into the hypothesis over the last several months by reading Stephan's posts. On top that, the more enthused ones among them will be self-selecting themselves into the study by volunteering for it and, even more than that, will be screened by Stephan and his colleague to ensure they truly are enthused. Randomly assigning them to an experimental versus control group might look scientific, but is actually irrelevant by that point. Hence, the study is likely to add little or nothing to what we already know from the anecdotal reports of some readers, which is that a bland food diet seems to be working for them. I say this as someone who thinks that a bland food diet may indeed have a positive effect, even on one's set point, though I think it does so by discouraging hedonic eating past the point of homeostatic satiety (with nothing magical about the effects of palatability per se). @ Rap, the blogpost Food Reward Hypothesis: Let's Test It! no longer exists. Probably somebody noticed that doing a study like this without the approval of an Institutional Review Board would be unwise. Rap, you bring up some interesting points. I would also be concerned that in addition to the cherry-picking of studies, which both sides have been accused of, there has been a fair amount of cherry-picking of anecdotes, with N=1's refuting the food reward hypothesis being set to zero. @Strontium Pup: That's a bit of a nit pick on the verbiage, don't you think? @Stargazey: The fat-becomes-IR-last part of the CI hypo comes from one of Neels' hypotheses (1982) put forth in GCBC. The science of the past almost 3 decades does not support it. The science of the past almost 3 decades does not support it. Human physiology appears to support it. And that's the thing that seems to be absent from this whole discussion. @Stargazey: When you say human physiology supports it you seem to imply that the science is studying something else? Or is the content of my Textbook of Medical Physiology (Guyton) not science? Neels' hypothesis is not supported by studies of human physiology. Marc Hellerstein's group studies fat metabolism and blood lipids using radiolabeled tracers in humans. His results do not support the assertions by Eades, Davis and others that fasting triglycerides levels are largely influenced by carbs via DNL for example. Frayn's group used radiolabel tracers to look at NEFA uptake and release in living humans. If not characterizing and elucidating human physiology, what were these researchers doing? Food stamps for fast food! CarbSane, could you spell out your nonstandard abbreviations, please? It is hard to decipher what you are saying when you refer to CI, hypo and DNL. Thank you. Sorry, CI hypo is carb-insulin hypothesis (thought someone had used CI here). I thought DNL was pretty standard for de novo lipogenesis. I was in a rush or I would have spelled it out here. CarbSane, I would refer you to Peter's excellent post, Should we abandon the carbohydrate hypothesis of obesity?, for a huge number of examples of real-world physiology versus results from scientific studies. While scientific studies may be correct within the parameters under which they are conducted, what works on paper may not be particularly successful when treating patients. The body has lots of counterregulatory systems, and what takes place in an isolated dish of cells may be prevented from happening the context of an entire organism. What is true for a particular type of rat may not follow the physiology of a human being. What happens in the short term in a controlled environment for a selected group of people may not be the case for a large number of free-range humans. The science of the past three decades has watched while the U.S. has experienced "an ever-increasing number of adults with extreme obesity (BMI ≥40)." "Growing numbers of children now have diseases once considered to be “adult” conditions, such as type 2 diabetes, nonalcoholic fatty liver disease, and hypertension..." (same article). Carefully selected studies reflecting current wisdom provide no hope for these patients. I'll go with classical physiology and what actually works in a real-world clinical setting. It's not a nitpick. The study shows that the rate of release of FFAs from adipose tissue declines with greater fat mass. That is what the carbohydrate hypothesis predicts and would attribute it to hyperinsulinaemia. Stephan's description of what the study shows does not appear to be accurate. I meant to say the rate of release of FFAs per unit of fat mass declines with increasing fat mass etc. @Strontium: The rate decreases but there is so much fat that the amount increases. That is the point. The insulin is trying to keep the fat where it should be. As for the "nit pick" unless I read you wrong, you were picking at a description of a linear relation vs. a direct proportion. I only point out that this is nothing but a vertical translation (shift up or down for the less math-lingo literate) of a line on a graph. It's not of consequence in a blog post, even by a scientist in a scientific discussion. It might be worth the nitting were it a paper published in a peer review journo. @Stargazey: I'll refer you to this post of mine as to why I take pretty much anything posted on that blog with a grain of salt. Real life application does not support the fat-IR-last progression. We shall have to agree to disagree, CarbSane. I tried to read your blog once more this morning and have to admit that I cannot do it. I see that Stephan has now amended the description of the study (1). The study speaks of the downregulation of the release of FFAs with increasing fat mass. No mechanism is suggested, but the fact it occurs is consistent with the carbohydrate hypothesis. As we don't know anything about the insulin levels of the individuals concerned, except that they are probably more elevated as fat mass increases, this study cannot be used to argue that that hypothesis is invalid. The other studies are more interesting. Did you see my above comment? I don't think the TNF-a and Jnk1 studies (the two I can see the full texts) are good evidence against insulin hypothesis. In TNF-a-/-, fasting insulin is lower, but look at the autophosphorylation of insulin receptor for obese TNF-a-/- in fat tissue: it's 50% higher! For Jnk1, look at each mouse example. The Jnk1-/- has lower fasting insulin [and lower post-prandial responses (you have to look at the supplementary stuff)] and lower weight gain and is quoted as being obesity resistant in other studies; the Jnk1-/- + WT bonemarrow and WT + Jnk1-/- bonemarrow are similar to the obese TNF-a-/- in reference 2. @Strontium: My charge on the nit picking related solely to your calling out of the linear relationship vs. Stephan's use of "directly proportional". Nothing more, nothing less. This is a blog after all. The difference is but a slide up or down the y-axis. Makes no difference to the point being made. I'm NOT addressing the reference, etc. I find a real life parallel for confusing necessary with primary or causal in Colin Campbell's case against animal protein. As described in detail by Chris Masterjohn, Campbell fed rats exposed to the liver carcinogen alfatoxin diets of differing protein constitution. He found that rats fed casein as the protein source developed more cancer, as concluded that therefore animal protein was carcinogenic. Of course, the saner interpretation was that the cancer cells simply required a complete protein source in order to multiply. It was really amino acid deficiency that was an anti-mitotic. Casein in this model "caused" cancer the same way insulin "causes" fat gain. Necessary, but otherwise neither sufficient nor controlling. 1) Honest question: What makes you say that Stephan wasn't planning on seeking IRB approval for this study? IRB is as pro forma as it gets; maybe it's because I did undergrad at a place where some of the most egregious subject abuses took place, but I was under the impression that IRB approval is to studies what brushing your teeth is to your mornings. Subjects don't see consent form boilerplate at recruitment; they see it right before the study begins. 2) Not sure that the proposed phone interview provided tremendous potential for selection bias. The exact questions (as well as samples of answers from accepted and rejected candidates) could have been made part of the eventual paper's appendix. 3) I agree 100% with your assertion that terms such as "tour de force" should not be lightly; in fact, as much as I respect Stephan, I wouldn't call any of his posts a "tour de force". Stephan did say the university of Washington "got wind" of the study. Seems pretty clear that he hadn't informed them of the study ahead of time. And IRB approval, as you say, must be done before any other aspect of the study, including recruitment, is undertaken. Really does make you question his understanding of the scientific process if he doesn't even know enough to get IRB approval before recruiting participants. "...just as you don't believe you cannot get fat on non-rewarding food, which you clearly can by your recent overfeed/forcefeed post." That study doesn't work against Stephan's hypothesis whatsoever. If anything it heavily supports it. Yes, they got fat eating bland food. But they had to force feed themselves to do so. They ate to the point of nausea. It doesn't matter how energy tastes, one it's in your body it needs to be dealt with. I promise you, I could gain quite a bit of weight on a ketogenic low-carb diet by chugging 2 litres of melted butter everyday. Can I use that as an argument that the carbohydrate hypothesis is flawed? Obviously not. @ Sarah Barracuda, 296... is correct. The IRB has to approve the protocol, the informed consent, and any documents related to patient recruitment. The exact wording of Stephan's now-deleted post would have needed approval of an IRB. Because Stephan works at the University of Washington, the IRB almost had to be one of their institutional IRBs. Therefore, Stephan's statement that his "previous post got the attention of the University of Washington" doesn't make any sense. If the protocol and the language of the post had institutional IRB approval, the University of Washington would already have been well aware of it. As I stated earlier, I chose my words carefully. I think you're misinterpreting what I said. I did not reference Stephan's overfeeding post to discredit the food reward hypothesis. I mentioned it to point out that a hypothesis can be correct despite a specific counter example. That is, the food reward hypothesis is not disproved because someone overfeeds on bland starch just as the insulin hypothesis is not disproved because someone overeats on melted butter. We are in agreement. This is why pointing out an inflammation-signaling-protein knockout mouse isn't going to sway many people--especially since, as I just noted, the mice don't really counter or support the insulin hypothesis, except for the Jnk1-/-, which supports the insulin hypothesis. @ Steve, regarding the whys and hows of post-pregnancy weight loss. Firstly, many women don't gain much more weight than the baby and its internal accessories - just ten pounds or so of actual fat, if memory serves. Secondly, sometimes women gain a lot of water weight, having to do with hormones and circulation, and this goes away quickly after pregnancy. Thirdly, not being able to get rid of your "baby fat" is a common complaint among women post-pregnancy. On the other hand, fourthly, breastfeeding demands significantly more calories than pregnancy itself (makes sense - the baby is bigger now! ), so if the women you knew were breastfeeding, that could have been the ticket. Fifthly, on a related note, breastfeeding seems to be protective against metabolic syndrome; it stimulates a variety of hormones and positively affects glucose control, so it may play a role beyond caloric expenditure. It is not self-evident that oversight by UW's IRB would have been appropriate or necessary if the proposed research were conducted and funded entirely outside the aegis of UW. IRBs are institution-specific and are required by law only when the research institution is HHS affiliated. And as you know, IRB approval itself does not determine if the study is ethical. It is a bureaucratic requirement. Unless you know the details perhaps you should withhold criticism. As carefully chosen as those words may be, you are clearly using that study against Stephans hypothesis. Your words seemed to misinterpret Stephan's hypothesis and that study. Stephan believes that a reduced reward diet, eaten ad libitum, reduces the weight set point. To say that you "clearly can by [Stephans] recent overfeed/forcefeed post" is true, but it does not overthrow the food reward hypothesis. I don't understand why you made that statement, if the message it clearly conveys is not what you hand in mind. "I mentioned it to point out that a hypothesis can be correct despite a specific counter example"
It wasn't a counter example, that's the point I'm making. You can't look at people deliberately over-eating on low-reward food, to the point of nausea, in order to gain weight and use that as a 'counter example' to the reward hypothesis. Just like I can't use my butter analogy against the carbohydrate hypothesis. That's like saying if a person intentionally chugs water, to the point of water intoxication, that it's unsafe to drink water according to thirst. 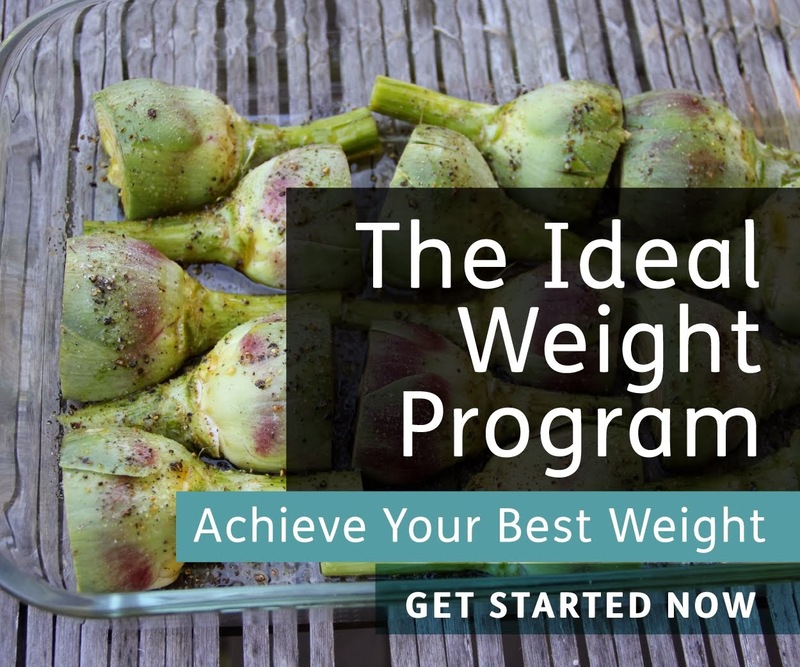 "I don't know about others' ideas, but I don't think Petro for example believes you cannot get fat on low insulinogenic diet, just as you don't believe you cannot get fat on non-rewarding food, which you clearly can by your recent overfeed/forcefeed post." You made the same argument earlier. Those too examples aren't remotely comparable. People often do gain or fail to lose weight on low carb diets. All that says is that low insulin levels aren't universally protective against weight gain. If a person goes on a low-carb diet and gains weight it is clear the diet and it's supposed mechanisms don't work for that person. If a person intentionally shoves 10,000 calories of boiled potatoes into their stomach and gains weight, it doesn't for a minute suggest that a low-reward diet, eaten ad libitum, will be ineffective for them. Gaining weight eating low-carb would mean the entire theory is wrong, at least for the individual gaining weight. Gaining weight by intentionally over eating - however the food tastes - is just thermodynamics and common sense. What I found interesting about that study was that they were incredibly lean eating low-reward food to appetite. While trying to gain weight eating low-reward food their bodies burned off an absurd percentage of the excess calories. And when they returned to eating their low-reward food as they normally would, the weight shed off of them. That why I said earlier, if anything that study heavily promotes the food reward hypothesis. It can't in any way or context be interpreted as a counter example to the food reward hypothesis. @ Kurt, the purpose of IRBs is the protection of the rights and welfare of humans participants in a research study. Because of abuses that happened in the early 20th century, it became important to be sure that a high ethical standard was maintained when humans were experimental subjects. When an investigator is affiliated with an institution, the IRB of that institution is typically used when deciding to approve a particular protocol. It is also possible to engage a central or independent IRB, but that would be unusual for a person who is affiliated with a university. While some investigations may not be conducted or supported by HHS, it is professionally prudent for investigators to obtain IRB approval when human subjects are involved. Having dealt with IRBs plenty in my academic life as an investigator , I am fully aware of the history and function of IRBs. The points I made are not altered by your recitation of the history. It is very rare for someone to conduct research totally apart from the institution they usually work for, but not at all impossible, and I submit it is not your judgement to make in any case. And you don't really have a clue if there would have been any other entity other than the UW IRB involved here, do you? @Kurt, thank you for your thoughts. Best wishes on your academic life and your research. Holy crap, I said that Petro (as far as I know) doesn't believe it's impossible to get fat on a low carb, and Stephan doesn't believe it's impossible to get fat on a low reward diet, which it obviously isn't! I'm not using the example to discredit Stephan. You're putting words in my mouth. I said what I said without implying anything further, with the point that someone wouldn't/shouldn't change his mind from Stephan's refs. I also didn't say anything in support for the "carb hypothesis." Your logic about food reward and "low carb" is poor: Some people gain weight on low carb, and shoveling 10000 calories of potatoes doesn't disprove the food reward hypothesis...fascinating!...so nobody's ever gained weight on a low reward diet, right?...oh, and what exactly is the "low reward" diet...and can you also provide me with the definition of the "low carb" diet that everyone follows in apparently the same manner?...and "carbs" are the only thing to cause insulin secretion right?...I should probably save myself the trouble of another comment by saying now that this comment is not some kind of praise for Taubes or the carb hypothesis, which you would probably infer--I'm simply clarifying what I said above because apparently you couldn't dare see anyone speak out againt Stephan's idea (which I didn't even do). This entire exchange has been pointless--why don't you respond to my critique of Stephan's refs instead of argue about the implication of one insignificant sentence. In case you in need of some translation from a social retard, Stargazey told you to go F*** yourself. I call "alibi" because I'm drunk - at least that's how we did it as Grunts - which probably led to my social retardation. So either way, I get a free pass. Dr. Harris, you may want to read the Declaration of Helsinski. Regardless of whether someone is conducting research at their home institution, that researcher is still publicly known to represent their University. Therefore, if Stephan were to conduct a study completely separate from UW, he would still be representing UW, and if there were serious adverse events or ethical problems or whatever, it would reflect poorly on UW and Stephan would be highly criticized for not seeking his own institution's IRB approval. It looks underhanded. Now, if there was a separate IRB like WIRB involved, then that's another story. But if that were the case, wouldn't Stephan just told UW that he already had IRB approval instead of canceling his study? Congratulations on being the only person here with research experience. Oh wait, you're not? Guess that's why the MD is there after your name, to make sure you get extra special credibility. "Therefore, if Stephan were to conduct a study completely separate from UW, he would still be representing UW, and if there were serious adverse events or ethical problems or whatever, it would reflect poorly on UW and Stephan would be highly criticized for not seeking his own institution's IRB approval." That's obviously The UW's concern and Stephan obviously respects that. The point is you do not know all the details and the implication that it is illegal or unethical per se to not involve UW is inappropriate for the reasons I stated. And where did I claim to be the only one with research experience? I got a wikilecture from you about the function of IRBs, as if I might be unaware of their purpose. I simply assured you I was familiar with them, as I am. As I am sure you well know, many times IRB approval is quite cursory in any case, and merely a formality for studies that are not actual medical interventions and involve no drugs or surgery. Are you seriously scolding Stephan because you are concerned about the ethics of recruiting people to study the effects of dietary advice like "gentle cooking methods" and using salt and pepper? You scolds are all acting like Stephan was proposing a dog lab with humans or something. Why not be more charitable to someone who had good intentions and was proposing a totally harmless study to be done in his spare time for no pay? Salt and pepper, food mixing, and gentle cooking clearly require IRB oversight. Shame on you Stpehan! @Kurt, I think you are continuing to confuse commenters; either that, or you are reading into things too much. - Go back and read my posts. I never claimed that it is unethical or illegal, per se, not to involve UW. I stated that by not involving UW, it appears underhanded. Even if another IRB review was involved, it gives off the impression that Stephan was going behind UW's back for some reason. - I never wrote any "wikilecture" about the function of IRBs. Stargazey did provide some info that might be useful to other readers who aren't as familiar with the process of getting IRB approval. But your comments here are directed toward the wrong person. - Whatever your personal opinion is about Stephan's study is irrelevant from a human subjects protection standpoint. The fact is, he was proposing a clinical trial, which as you know is the most tightly regulated type of research study from an IRB perspective and from a federal legal perspective. Your opinion about whether or not it "clearly requires IRB oversight" is completely meaningless. Running a clinical trial is not the same as recruiting undergrads into your lab and asking them to fill out a questionnaire. IRBs are clearly charged with the task of, rightly or wrongly, being the only arbiters of whether the stated risks and rewards are justifiable. Not the researcher or any independent bloggers. Circumventing your home institution's IRB for a clinical trial may not be unethical or illegal, per se, but it appears very shady. It also could come back to bite Stephan if anything were to go wrong, opening him up to potential litigation if the study were conducted without institutional oversight for human subjects protections. Stephan usually comes across as very bright, conscientious, and responsible, but this situation shows decisions that were potentially the opposite of those positive traits. When subjects enroll in a clinical trial, they are usually some of the most vulnerable people - people who have exhausted every other available option and are now hoping that an experimental intervention can help them. At the very least, they need to trust that the investigators are doing everything by the book, in order to give them the greatest degree of protection. This is not intended to be a "wiki"-whatever. It is meant to express my personal frustrations with the situation as we know it. Unfortunately, I've encountered many hedonistic people in my life who would deem such a low-reward diet to be unethical. But alas, that is neither here nor there. I find it both ironic and disturbing that UW would shoot down a valuable nutrition study on the basis of ethics, given the deplorable overall state of diet and nutrition research in this country. Food reward/set point theory deserves to be put to the test. While this theory will probably never be studied by the scientific establishment, UW will no doubt continue its contribution to the animal-fat-causes-everything theory propagated by the Pharma Food Government Medical Industrial Complex. After all, there is no obvious profit to be made here. @allison - UW didn't "shoot down" the study. From what we know, they talked to Stephan about the need for IRB approval, which is meant to ensure protection for the participants (things like confidentiality, risk vs reward, etc.). Rather than accepting oversight from UW's IRB, Stephan chose to cancel the study. What's up with that? Very interesting and informative post. To avoid obesity one should have low fat food and avoid consuming junk food.Thanks for sharing it. It appears that my latest post about the IRB issue has been removed, presumably by Stephan. I'm quite fine with that and I myself have removed my earlier post of September 8. It's quite possible that UW has instructed him not to mention anything further about why his study was withdrawn and to try to dampen down the discussion. This is a rather ugly debate to have gotten involved in and I would rather not risk making life more difficult for him than it might already be. I have not removed any comments from this thread. In general, I only delete comments when they are extremely disrespectful or threatening to myself or others, or are advertising something. That's strange. I could have sworn it was missing. In any case, I've now deleted it myself. I think it got stuck in comment moderation for some reason. I published the moderated comments this evening. Sometimes it takes me a while to get to those. I've admitted I made the mistake of mixing you up with stargazey. "The fact is, he was proposing a clinical trial, which as you know is the most tightly regulated type of research study from an IRB perspective and from a federal legal perspective. " You imply there is a federal law requiting IRB approval if there is no involvement by an HHS institution. "This is not intended to be a "wiki"-whatever. It is meant to express my personal frustrations with the situation as we know it. Reads like more moralistic preaching to me. Who reading this cannot read about IRBs by googling it? Stephan needs you to educate us all about IRBs on his blog? You're wasting space and bandwidth. And why are you personally frustrated? I would submit it is none of your business. Why should you be frustrated by any of this if it has ZERO to do with you? I will repeat my point, inarguable to anyone with a lick of common sense, that acting like a moralistic nanny about a dietary intervention involving seasonings and cooking is at best disingenuous and at worst just plain stupid. There is no IRB on the planet that would find fault with such a study and all of you nannys know it. I just read this post and got some information related to my concern. Thanks for this post. "However, there is a subgroup of obese people who are considered "metabolically healthy" and have normal fasting insulin and insulin sensitivity. . . This evidence is consistent with the prevailing hypothesis that elevated insulin and insulin resistance are the result of excess fat accumulation, rather than the cause." If you negate cause and effect in one direction, you need to negate it in the other. Also, many "thin type 2s" turn out to be LADA or MODY, which are not type 2.